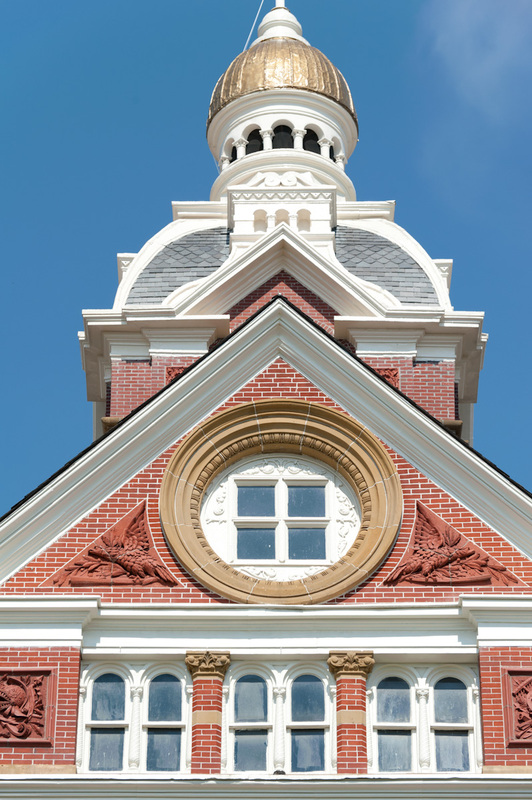 This shot shows some of the details of the Lenawee County Courthouse that was the subject of yesterday’s post. I shot this from directly in front of the building using my 70-300mm lens. Some of the key details are the patterns in the roofing shingles, the terra-cotta reliefs and all the curves and arches. Lots of great symmetry. Most of the processing for this image was done with Silver Efex Pro 2 which handled the black and white conversion, the toning and the edge treatment. One little thing that I did was adjust the positioning of the building. If you look at the raw image, you will see that the building isn’t quite centered in the frame. There is more of the terra-cotta relief in the lower left than the lower right. When I converted to black and white, I used one of the built in border effects provided by Silver Efex Pro 2. I noticed that the border cut off part of the image. I figured I could add to the border on the right side and let the Silver Efex 2 border cover it up, while keeping more of the image content. I expanded my canvas to the right and used content aware fill to fill in the space (which for this image did a remarkable job, even though the content is mostly covered up) I then took the image into Silver Efex Pro 2 where the border effect pretty much covered up the expanded area of the canvas. The final effect was just want I wanted, however. The image now appears more centered, with roughly equal amounts of terra-cotta relief showing up on the left and right. Wow… nice processing job from the original! It’s definitely much more interesting with that dark vintage feel. I love the processing James, especially the edges. 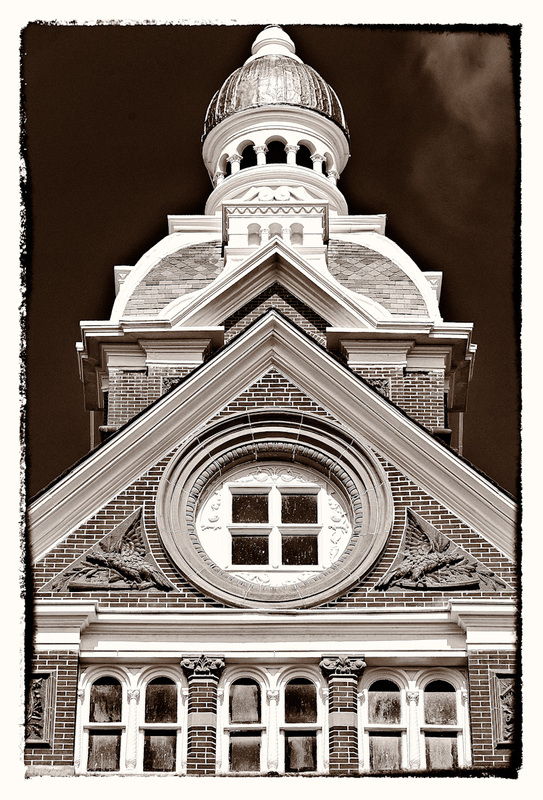 I like the antiqued effect and SEP2 really helped you pull out the detail. The perfect symmetry is what first caught my eye. Nice work, James! Love the perfectly symmetrical framing..and especially the processing. Terrific!!! I just found your blog. I dig the fact you are posting the pre/post processed images. Great stuff!